Give me just 3 minutes (the time for you to read through my article) and I’ll introduce you to the best home workout equipment choices! Have you been wondering if a home gym is for you? Much of it depends on how much space you have, and how much you want to spend, but if the idea of being able to work out whenever you want without having to leave your own home, it’s something you could seriously consider. There’s all sorts of equipment available for home use – the main thing to keep in mind is that you don’t want to buy too much, or choose equipment that you won’t really use. You need to think about the type of workout you want, and what you enjoy doing. Then choose equipment for various types of workout, like strength training and cardio so that you’re not just doing one type of workout. Let’s talk about some of the different types of equipment you should consider for use in your home gym. Flexibility training is exactly what it sounds like – exercise that helps you to increase the flexibility of your muscles. Flexibility training equipment allows you to develop enhanced muscle tone and reduces your risk of injury when performing other types of exercise. When you perform proper flexibility training exercises, you’re able to work with other types of equipment more safely and effectively. Flexibility training equipment can be as simple and inexpensive as a mat and towel, some stretching bands, a slant board and some foam rollers. More expensive equipment might include a stretch machine or a pilates machine. Cardio equipment is anything that helps you to achieve continuous, smooth movement while raising your heart rate for a minimum of twenty minutes. 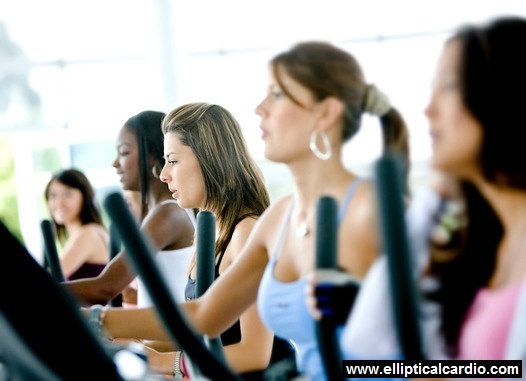 Cardio training improves your general body conditioning along with your cardiovascular condition and heart health. It also results in better muscle tone and can be an effective part of a weight loss program. Inexpensive cardio equipment includes step blocks, jump ropes and stepping machines. More expensive choices could include an exercise bike, ski machine, rowing machine, electric treadmill, or elliptical exercise machine. Useful Tip: We recommend the Sole E95 elliptical. Balance equipment improves stamina, posture, core strength and balance by changing your center of balance while you’re doing other things like performing crunches or lifting weights. It also facilitates improved interaction among all your muscle groups. Anything designed to improve the strength of your muscles is considered to be strength training equipment. Strength training allows you to perform most of your day-to-day activities more easily, and contributes to your overall functional fitness level. It helps you achieve better body shaping, and in women it can lower the risk of developing osteoporosis as well as slowing its progress if it has already begun. Strength training is also a great contributor to weight reduction. Hand weights, resistance bands and low end benches are inexpensive options. If you have a bit more to suspend, you could consider a weight training bench and adjustable barbells, a suspension resistance trainer, or a multi-gym. If you’re exercising alone, a multi-gym can be a great choice because there’s no danger of injury when you’re working out unsupervised. Although this isn’t technically home gym equipment, if you can afford it, a personal trainer can help you learn ways to get better results from your workouts. Several sessions are recommended, but even an hour can be beneficial. If you feel you can’t afford a personal trainer, consider purchasing a DVD that offers instruction on how to maximize your workout. When setting up a home gym, you want to make sure to get the most for your money. Before buying any piece of equipment, check it out and make sure that it’s durable and has the features that you want. Keep in mind that you’re better off buying a really good piece of inexpensive equipment than you are buying a sub-standard piece of high-priced equipment. Always buy the best that you can afford. Think about others who may be using the equipment, and consider whether the equipment can accommodate people of different weights, heights, and levels of strength. Finally, and this really can’t be over-emphasized, if your eagerness to set up a home gym is part of a radical lifestyle change (e.g. you’re not at all accustomed to exercising, but you’ve made a New Year’s resolution to get in shape), make sure that this is something you can handle. See your doctor, and get a thorough checkup. Make sure you have the doctor’s approval before you begin any new exercise program. It also couldn’t hurt to get his or her advice on the sort of equipment you’re planning on purchasing. If you have any chronic conditions, like arthritis, heart disease or osteoporosis, your doctor can provide suggestions on the safest, best type of workout for you. A home gym can be a fabulous solution to for people who are unable or unwilling to head out to a health club or a gym. You can incorporate a lot of equipment into your home gym, or make do with just a few high-quality pieces that are designed to allow you different types of workouts. Keep in mind, too, that you can perform a good many cardio and aerobic exercises without the need of any type of special equipment at all. Don’t waste your money on equipment that you don’t enjoy using – there’s no point in having it gather dust. And whatever you buy, make sure that you purchase the best you can reasonably afford.